Is your SAP system GDPR compliant? In a new series of 1-hour webinars, we will educate you in the different approaches to achieving GDPR compliance in SAP – including implementation approach. With GDPR project experience gained from our work with more than 10% of Scandinavia’s SAP ERP customers, we have built extensive knowledge on how to tackle the complexity of GDPR compliance in SAP. In this series of webinars, we will present the different approaches and which actions to take, from the policies and procedures to technical implementation. We will also cover the associated costs of tools and resources. You have the right to withdraw your consent at any time at marketing@2bm.com. 2BM GDPR Team has focused on GDPR since 2014. The mission is to be the leading GDPR in SAP consultancy in Denmark and Sweden. 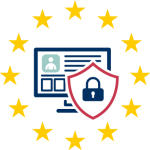 Our experience comes from helping 10% of all Scandinavian SAP customers to overcome GDPR challenges ranging from small/medium to large enterprises, and we strive to help customers choose and implement the right solutions based on cost vs. risk.